First established in 1955, a new dual international/domestic terminal was opened in 2005 which has received numerous awards, including being named the world's second-best international airport (5–15 million passengers) in 2006. 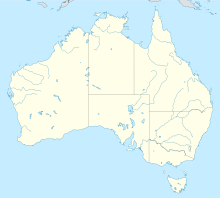 Also, it has been named Australia's best capital city airport in 2006, 2009 and 2011. Passengers boarding from the tarmac in December 1967; this continued for domestic passengers until 2006. In October 2006, the new terminal was named the Capital City Airport of the Year at the Australian Aviation Industry Awards in Cairns. In March 2007, Adelaide Airport was rated the world's second-best airport in the 5–15 million passengers category at the Airports Council International (ACI) 2006 awards in Dubai. Adelaide Airport is also one of the many RFDS bases located around Australia. The newest base was relocated at Adelaide Airport in September 2016. The base has many parking bays for the fleet, maintenance hangers and ambulance bays. The Pilatus PC-12 aircraft are based at Adelaide Airport. Adelaide Metro operates frequent JetBus buses connecting the airport to a number of popular locations across metropolitan Adelaide. Route J1X operates an express service to and from the airport to the Adelaide CBD. Routes J1 and J2 operate between the northern, western and southern suburbs, via the CBD and airport - popular areas such as Tea Tree Plaza, Glenelg and Harbour Town are serviced. Routes J7 and J8 operate to West Lakes and Marion. ^ "Air passengermovements through capital city airports to 2025–26" (PDF). Working Paper 72. Canberra: Bureau of Infrastructure, Transport and Regional Economics. 2008. Retrieved 16 May 2012. ^ "History: 1927–2005". Adelaide Airport Limited. Archived from the original on 3 October 2006. Retrieved 14 October 2006. ^ "Atura Airport Hotel opens at Adelaide Airport". Australian Business Traveller. 10 September 2018. ^ a b "Malindo Air announces Adelaide-Bali-Kuala Lumpur route" (PDF). Adelaide Airport. Retrieved 21 March 2019. ^ "QATAR AIRWAYS ANNOUNCES THE LAUNCH OF ANOTHER EXCITING AUSTRALIAN DESTINATION – ADELAIDE". Qatar Airways. Archived from the original on 19 November 2015. ^ "City pairs data—passengers, freight and mail—2009 to current". bitre.gov.au. 2017. Archived from the original on 12 April 2018. Retrieved 12 April 2018. ^ "Adelaide Airport Bus Timetable" (PDF). Adelaide Metro. Retrieved 5 April 2019. ^ "J7-J8 Bus Timetable" (PDF). Adelaide Metro. Retrieved 5 April 2019. This page was last edited on 16 April 2019, at 23:47 (UTC).